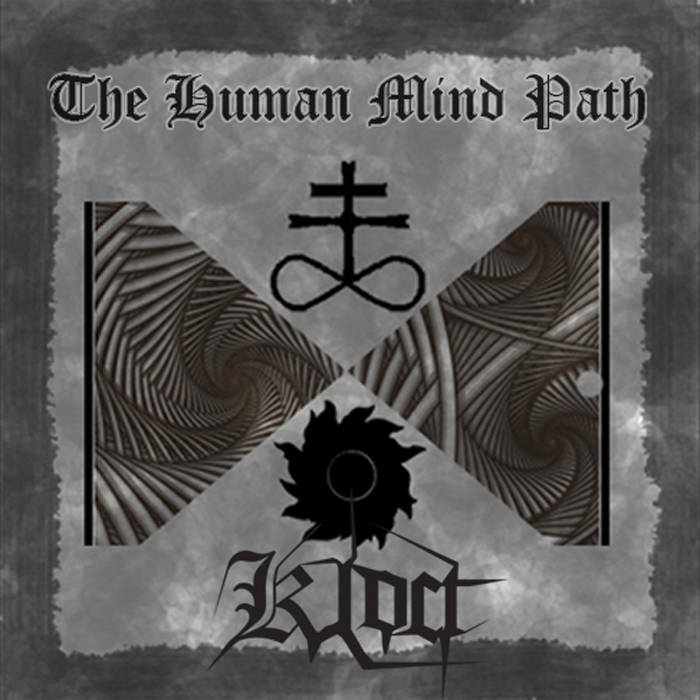 The Human Mind Path is the second full-length release by the French black metal man “KLOCT”. Now, back to the album, which is mainly centered on the ways humans respond to challenges, thoughts, and situations. While some people reflect positively on such situations, others view them in despair and turn into dark methods and fulfill whatever they were going to do. All in all, this is a very very (very) good album, from start to end. And here’s the best part: you can actually hear all instruments on it clearly (not so true I guess), and it sounds a bit different from the black metal we are used to, the one that’s all about “hail evil entity”. Moreover, the band uses some pauses with choir vocals every now and then on certain tracks (Iconic Slavery, A Sky Full of Black Birds, and The Path), which makes the tracks atmospheric in a way. Not to forget mentioning the slow tempoed intros and outros to some tracks as Iconic Slavery, There is Always Someone To Blame, Warming Coldness, and A Sky Full of Black Birds. Looking for the blast beats you love about black metal? Well, you can find them scattered all over the album, especially on tracks as Iconic Slavery, A Sky Full of Black Birds, and The Path. Looking for slow doomish beats? Check out tracks as There is Always Someone To Blame, and Constant Boredom. In summary, this is a very good solid album, that’s mastered in a really clean way.